Stalwart Brewing Co. in Carleton Place is still a relative newcomer in the brewery game but they have shown that they excel in producing quality suds with mainstream appeal.Stalwart is ranked eleventh on the list of top 36 breweries in Canada at untappd.com and has a five star rating on Facebook. 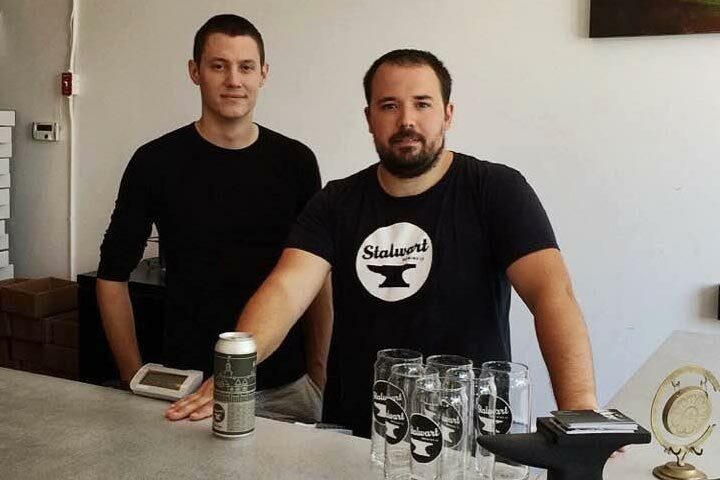 Stalwart Brewing Co. was created by four servers that used to work at the Wellington Gastropub in Ottawa. “One day we were making beer and we thought, you know, if we got a brew license we could make small batches,” said Adam Newlands. Newlands is one of four co-owners of Stalwart Brewing Co. along with Phil Kelsley, Ed McKinley and Nathan Corey. Ed McKinley said Carleton Place was the perfect location to open since there is no other brewery in town (at the time) and the microbrew trend was on the rise. While it was initially more difficult to compete with brand-name brewers, the micro trend continues to grow and is as competitive as ever. McKinley says the brewery is doing well because they get involved in local events. ”Stalwart Brewing Co. occupies the building beside the lot that was once Findlay’s Foundry – a historical Carleton Place family that ran a very successful stove manufacturing and metal workshop. The word stalwart is defined as loyal, reliable and hardworking. The Stalwart owners say the name suits both the mission of their brewery as well as the history of the land surrounding it. Located on the corner of Bridge Street and High Street, Stalwart Brewing Co. offers delicious bold brews paired with a view of the Mississippi River. Check them out at 10 High Street any Thursday to Saturday from 12 – 8 p.m. and Sunday from 12 – 6 p.m. There’s a retail shop where you can buy t-shirts, coasters, glassware and of course beer.